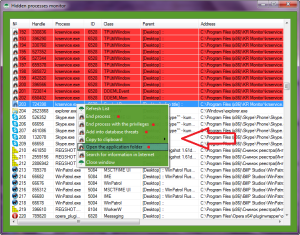 Keylogger Remote – is a free program for all Windows versions. “Since keylogger is a spy program, sometimes (very rarely) it may be detected by antiviruses as a spyware or even as a virus”, says site of the developers. It means that if the program have installed on your computer, it is possible that you will not find it. However, if you have the COVERT- PRO this spyware has no chance. 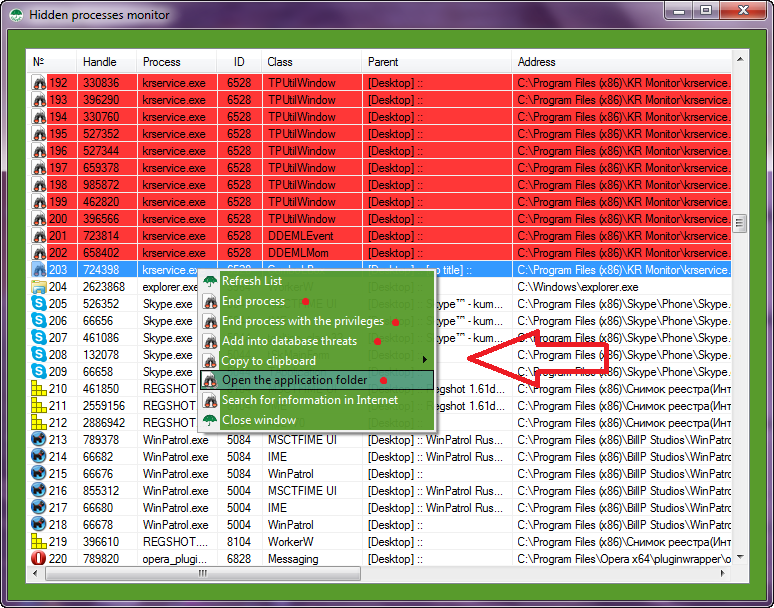 Open COVERT, in the main window click “System Processes”, and then “Hidden processes“. All applications that hide themselves from the system are highlighted in red. 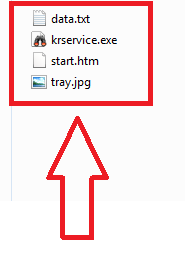 Krservice.exe process is spyware Keylogger Remote. Right-click to open the context menu. Add this process in the database threats. Then terminate the process and open the folder with the application. Delete all the contents of the folder and the folder itself. Keylogger Remote spyware was detected and removed. Spyware will not be able to see and record all the actions that you have made in a secure environment. In this case, you will get protection from spying without uninstalling the program. In the picture below can see that spyware is not able to get any data from the secure platform.